The clips are very strong so hold your leaves in firmly but NOT a good idea for anyone with arthritus in their hands. Novelty 2 Piece Stainless Steel infuser and Drip Stand. 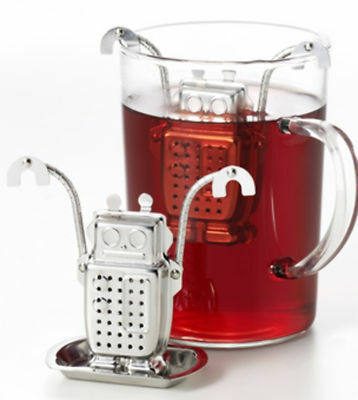 - Probably the most futuristic / Retro looking tea infuser on the market. Can you just see your colleagues faces when they walk in the office and see this clinging desperately to your cup?